Heat a large rimmed pan over medium heat. 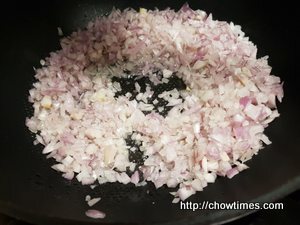 Once hot, add oil and shallot and saute for 2 minutes, stirring occasionally. 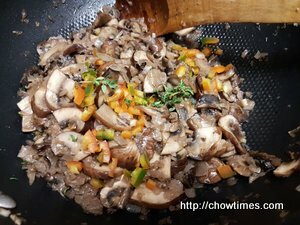 Add mushrooms and increase heat to medium-high. Saute for 5 minutes, stirring frequently. Add a pinch of salt and pepper. Add thyme and jalapeno pepper. Add 2 cups vegetable broth and lentils. Bring to a low boil over medium-high heat. 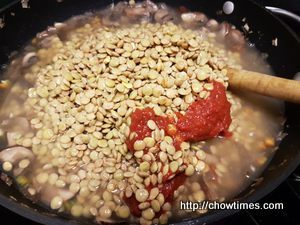 Once boiling, reduce heat to a simmer and cook on low for about 20 minutes, adding more broth as needed if the mixture looks dry. 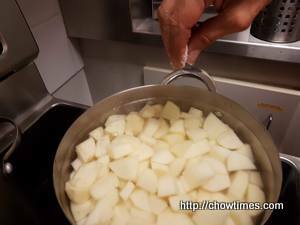 Meanwhile, add potatoes to a large pot and cover with water so they are submerged. 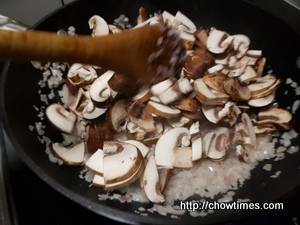 Bring to a boil on high heat and cook for 12 to 15 minutes or until they slice off easily when pierced with a knife. 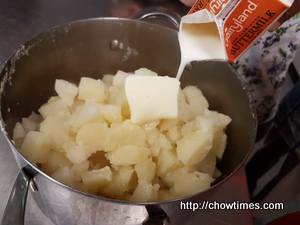 Once tender, drain the potatoes and add back to the pot or a mixing bowl. Season with salt, pepper, and a bit of olive oil or butter. 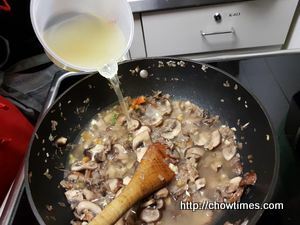 For added moisture, in place of oil, add milk or vegetable broth. 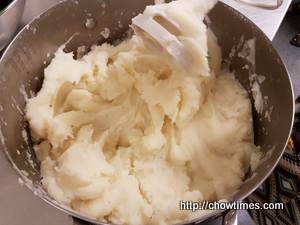 Mash until tender and fluffy. 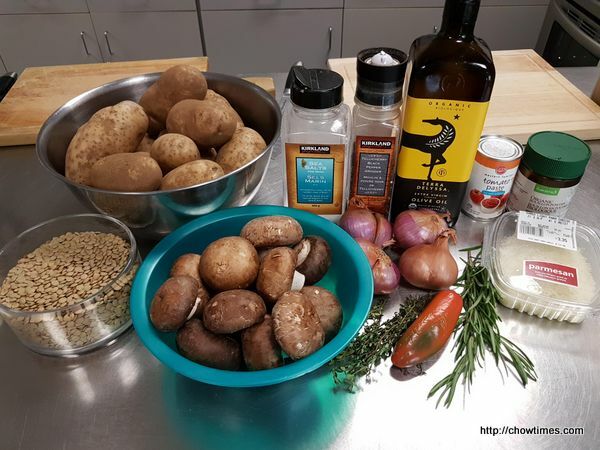 Once the lentils are tender, taste the stew ad adjust flavor as needed, adding more salt for saltiness, pepper for spice, or tomato paste for more depth of flavor. 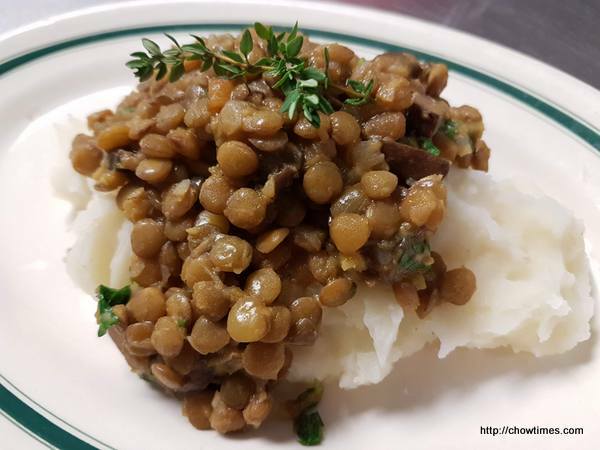 To serve, divide the mashed potatoes between serving plates or bowls and top with desired amount of lentil and mushroom stew. 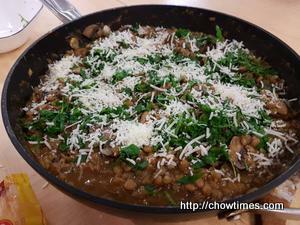 Garnish with fresh parsley, Parmesan cheese, or more thyme, if desired. Store leftovers separately, covered, up to 4 days in the refrigerator or in the freezer up to 1 month. Reheat on the stovetop or in a 350 degrees F oven until hot.